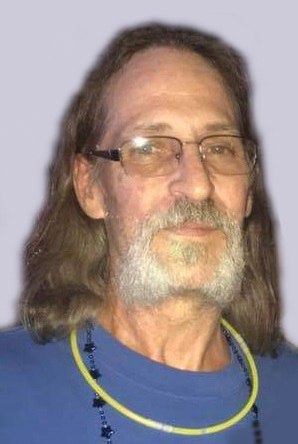 Darrell Edward Hicks, age 59, of Davenport, Iowa, went home to be with his Lord, Friday, March 22, 2019, at University of Iowa Hospital, Iowa City, Iowa. Funeral services will be held at 11:00 a.m. on Thursday, March 28, 2019 at McGinnis-Chambers Funeral Home in Bettendorf, Iowa, with his brother, Rev. Dennis Hicks officiating. Visitation will be from 10:00 a.m. until the time of service at the funeral home. Burial will be in Fairmount Cemetery, Davenport, Iowa. Born January 14, 1960, in Davenport, Iowa, the sixth son to Arthur Hicks and Virginia Runyon Williams, Darrell's life was cut far too short by cancer. A loving son, a devoted brother, a thrilled-beyond-belief dad and grandpa, as well as a great friend to all who knew him, Darrell lived his life to the fullest, and in the end…when it mattered most, he rested in his Savior's arms. We rejoice in Darrell's heavenly homecoming. Survivors include his mother, Virginia Runyon Williams of Calamus, Iowa; brothers, Robert (Bob) Hicks of Calamus, Justin (Wayne) Hicks of Davenport, and Dennis Hicks of Richmond, Indiana; daughters, Sarah Hicks of Sherrard, Illinois, Rachel Ann Hicks of Conesville, Iowa; and grandson, Gavin Joseph of Conesville; as well as many aunts, uncles, nieces, and nephews. He was preceded in death by his father, Arthur; his brothers Clifford and Paul Jr.; and his half-brother Alan.